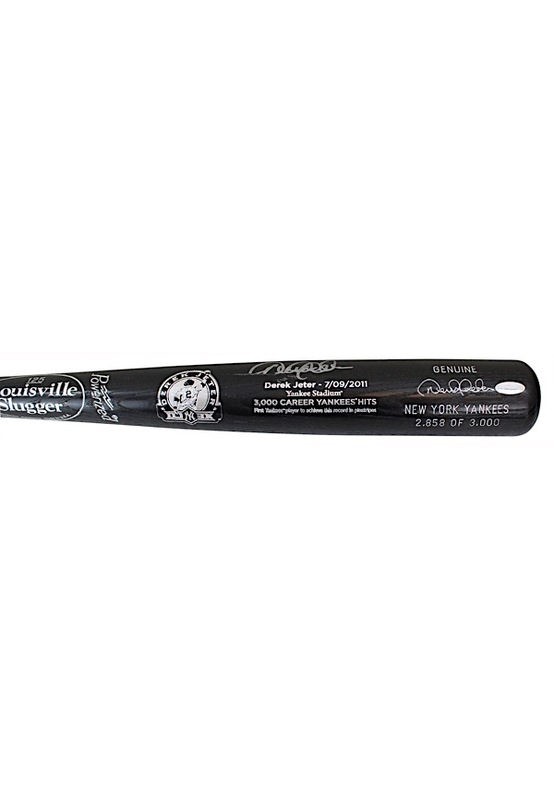 A Louisville Slugger bat that commemorates Derek Jeter’s 3,000 career hit. 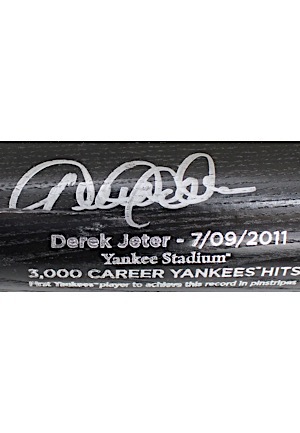 Stamped onto the barrel is “DEREK JETER DJ 3K” and “Derek Jeter- 7/09/2011 Yankee Stadium 3,000 CAREER YANKEE HITS First Yankees Player to achieve this record in pinstripes” and is labeled “2,858 OF 3,000”. 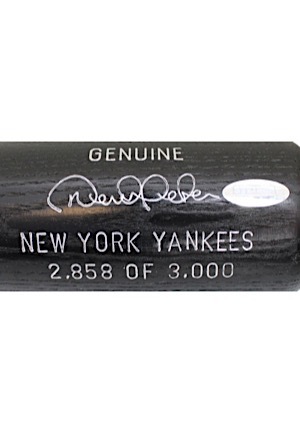 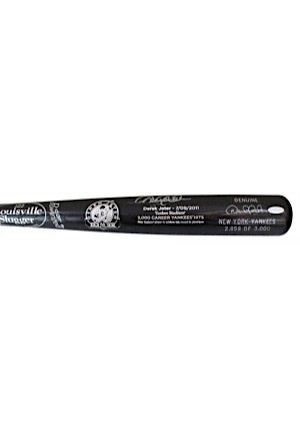 Jeter signed the top barrel of the bat in silver marker and in our opinion the signature rates a strong 8. 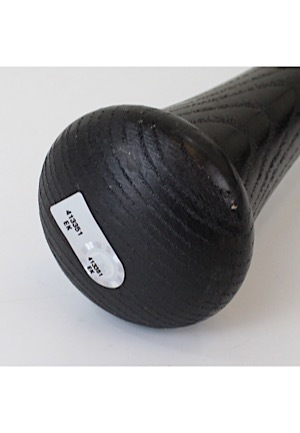 On the knob is an MLB hologram and on the bottom of the barrel is a Steiner Sports hologram. 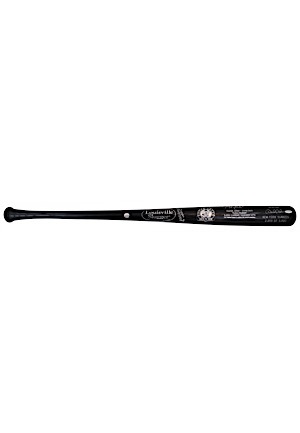 Accompanied by a LOA from JSA and a Steiner COA.